Building your own mobile apps can be both rewarding and very lucrative. 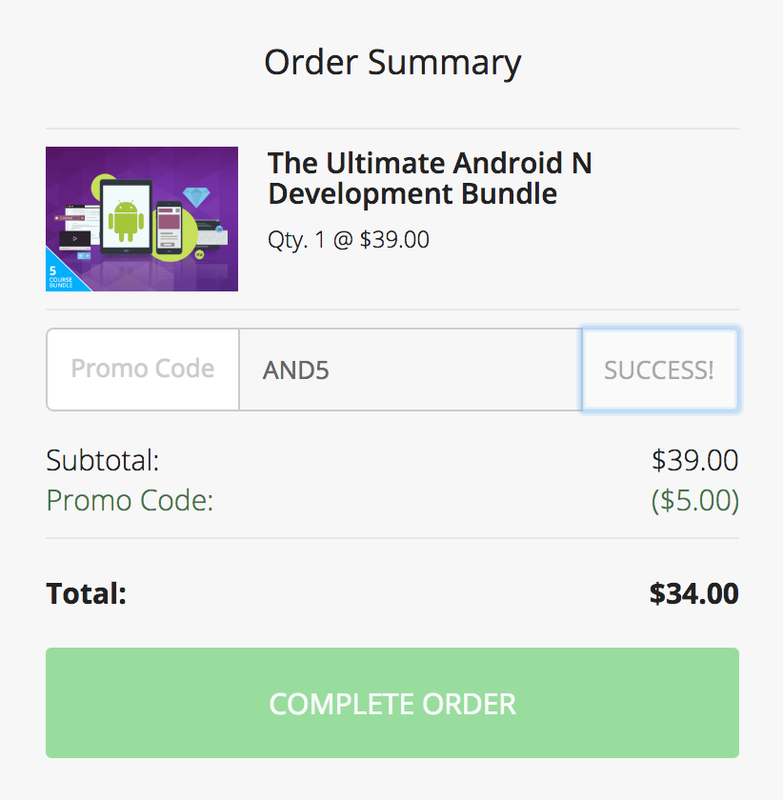 With the Ultimate Android N Development Bundle, anyone can learn to code killer apps through five courses and 45 hours of training. You can grab the bundle now for $34 via 9to5Toys Specials with coupon code “AND5”. Now that Android has secured its place as the most popular mobile platform, there are some amazing opportunities for first-time developers. This bundle guides you through the whole workflow of creating an app, starting with the fundamentals of coding. The first thing you’l learn is how to install Android Studio and the Android SDK, both essential for entering the world of Andoid development. The next step is to learn Java, the native language of Android apps and an incredibly useful coding language to know. After a few lessons, you’ll start work on your first ever app. This cycle repeats throughout the different levels, adding new features with each lesson. By courses’ end, you’ll end up with the skills to create a task timer and a Flickr client from scratch. The bundle offers over 230 tutorials all together, and the videos are available to watch 24/7 on mobile and desktop devices. Whether you want to go freelance or build the next Play Store smash hit, this bundle is the ideal starting point. Order now for $34 with coupon code “AND5” to get started, and save 90% on the entire bundle.